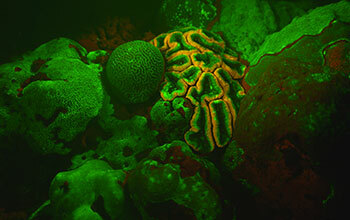 Fluorescent coral. A Rutgers University study focused on how corals evolved to allow them to interact with, and adapt to, the environment. An international team of scientists led by Rutgers University faculty has conducted the world’s most comprehensive analysis of coral genes. The coral gene database study focused on how their evolution has allowed corals to interact with, and adapt to, the environment. A second study, also led by Rutgers researchers, with colleagues at the University of Hawaii, shows for the first time how stony corals create their hard skeletons, using proteins as key ingredients. In 2014, leaders in the field of coral biology and genomics met at Rutgers to plan an analysis of 20 coral genomic datasets. The goal was to provide a comprehensive understanding of coral evolution since the organisms appeared on Earth 525 million years ago. "There are a few key genes in corals that allow them to build this house that laid down the foundation for many, many thousands of years of corals," said Debashish Bhattacharya, a professor in the Department of Ecology, Evolution and Natural Resources in the School of Environmental and Biological Sciences at Rutgers and one of the leads of the coral gene database study. "It couldn’t be any more fundamental to ocean ecosystems." Paul Falkowski, the other lead of the coral gene database study and a professor who heads the Environmental Biophysics and Molecular Ecology Laboratory at Rutgers, said, "I think one of the more interesting aspects of these data will be to understand which coral species may become winners or losers in the face of anthropogenic climate change -- what makes them tougher and what makes them susceptible to changes in temperature, changes in ocean acidification." 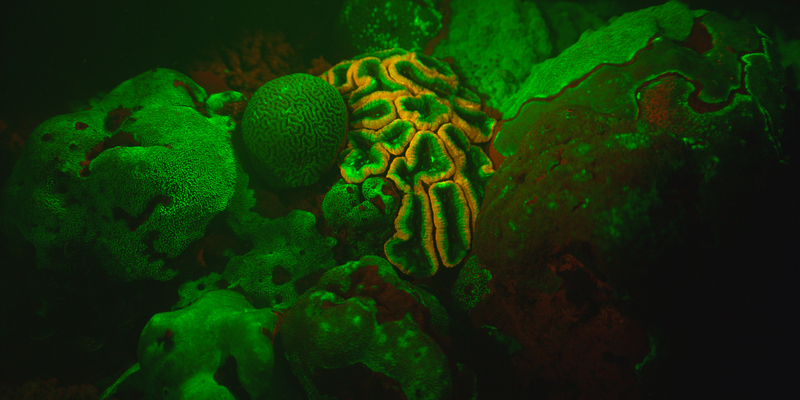 The researchers found dozens of genes that allow corals to coordinate their response to changes in temperature, light and pH (acidity vs. alkalinity), as well as deal with stress triggered by the algae that live with them and exposure to high levels of light. Some of these stress-related genes are of bacterial origin and were acquired to help corals survive. The researchers theorize that the vast genetic range of corals may help them adapt to changing ocean conditions. The stony coral study, led by former Rutgers Department of Marine and Coastal Sciences postdoctoral fellow Tali Mass, explains how stony corals make their hard, calcium-carbonate skeletons and explains how this process might be affected as the oceans become more acidic due to climate change. This work was supported by the National Science Foundation (grants EF 14-08097, EF 10-41143 and EF 14-16785).